Recently we went to a children’s clothing consignment store to see what fall and winter clothes they had available for my 11-year-old daughter. With the sizes she’s currently wearing, I’m often able to find items inexpensively and in good condition. We were fairly successful this time. I bought her four pieces of clothing, one of which was a dress for church that still had the tags on it. If I’m buying clothing at a consignment or thrift store, I want to make sure I’m getting a bargain, so here are four tips I try to remember when we’re shopping at these types of stores. 1. Try on lots of clothes. We always head to the dressing room with our arms full of clothes. Since we’re trying on a variety of brands, we grab sizes that might be slightly smaller or larger than her current size. Also, since many of the clothes will have already been washed and dried, they might fit differently than when they were brand new. Sometimes my daughter will want to try a style that I’m not sure she’ll like in the long run, but I can live with that if we’re not paying much for the items. 2. Set a limit on how much you will pay per item. Basic clothing pieces like shirts from Target and Old Navy can be bought new inexpensively, so I won’t pay much for those used. However, for a church dress or a winter coat or a more unique item, I’m willing to pay a bit more. 3. Look carefully for stains and check the condition in good lighting. Even though I may be getting items for a good price, I still want them to be clean and neat. Special occasion items (or heavy winter clothing in our area) won’t have been worn as much so is more likely to be in great condition. 4. Buy brands you know are of good quality. We like Lands End clothing; most of what my girls have worn from the company lasts and looks great for a long time. When my girls were younger, I’d be excited to find clothes from more expensive brands like Mini Boden or Hanna Andersson. Do you shop for children’s clothing at consignment stores? What shopping tips do you have? I used to shop consignment sales for my children's clothes, but we haven't had any near us since we moved from Georgia. 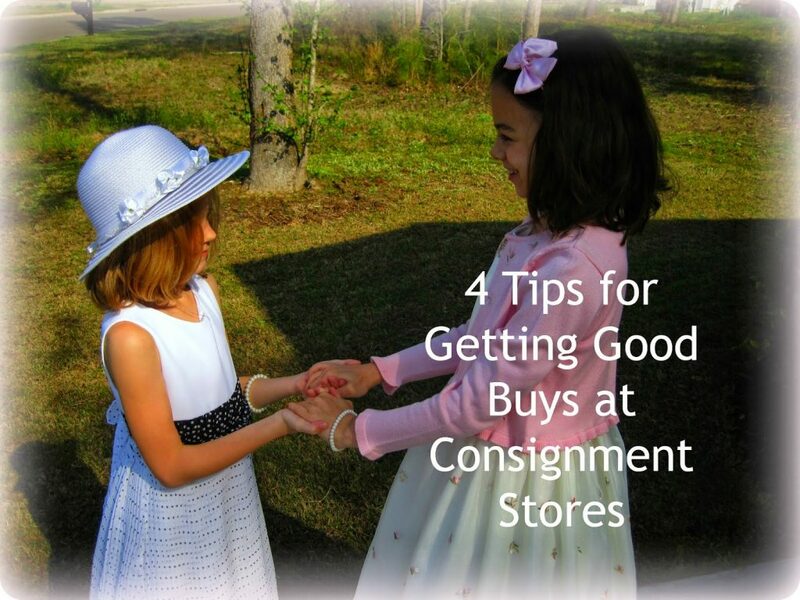 I didn't use consignment stores very often because I thought the clothes were overpriced. Yes – you definitely have to know your price points for items you want to purchase or you could easily spend nearly as much on used clothes as you would on new ones.